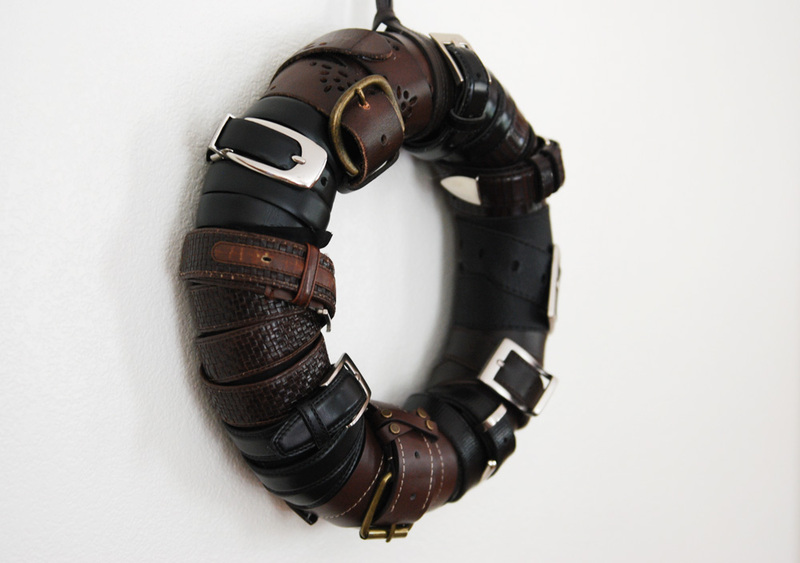 Up-cycled Belt Wreath and Tutorial - Jill Ruth & Co.
Hey! Hello and how are ya?! It's been awhile! We are just plugging away here in the heat and dry weather like so many of you. 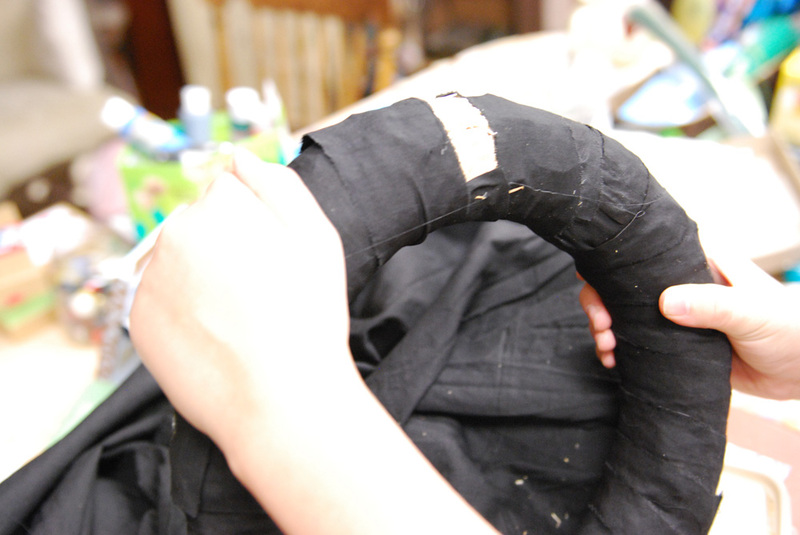 4-H projects and our fair are a couple of things that have kept me from blogging. I thought you all would enjoy one of my daughter's 4-H projects. How fun is this?! 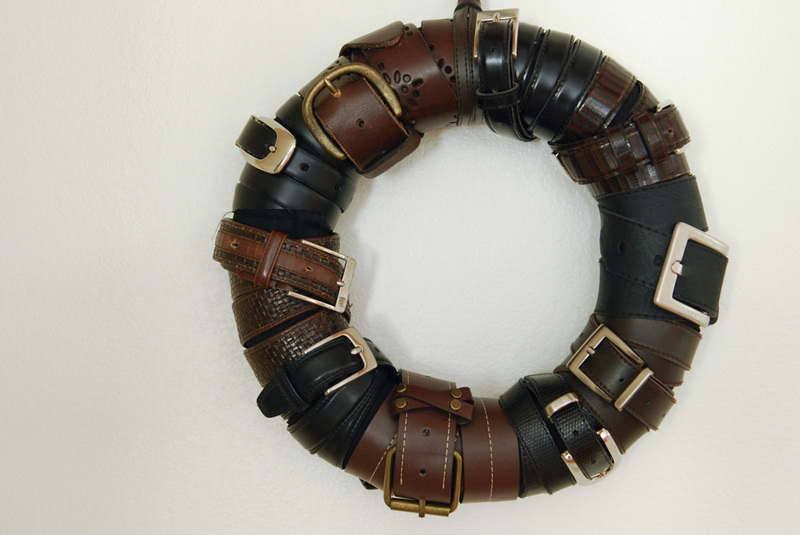 An upcycled belt wreath. I picked up these belts at a thrift store for 50 cents each. My daughter and I brainstormed and came up with a wreath idea. I had a straw wreath from a garage sale. It needed to be covered to hold in the straw and to hide it from any gaps in the belts. 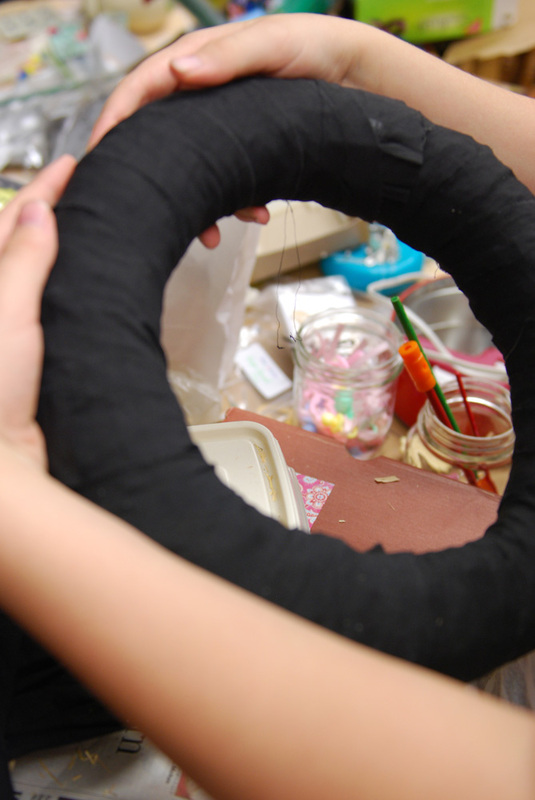 So she covered it with strips of black fabric secured with hot glue here and there. I told her she could cut the belts and glue pieces of them on. Well, she started wrapping the whole belt on before I could go and help her cut the belts, and I loved what she had done. 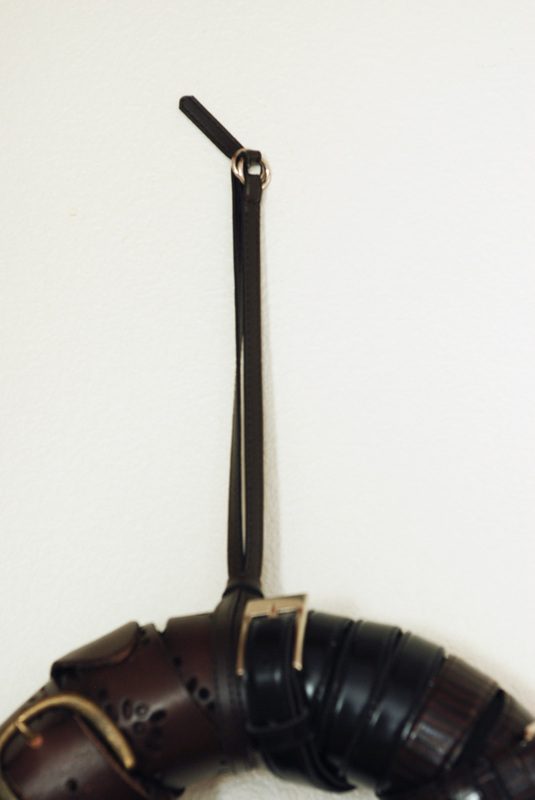 The whole belt wrapped around looked great! 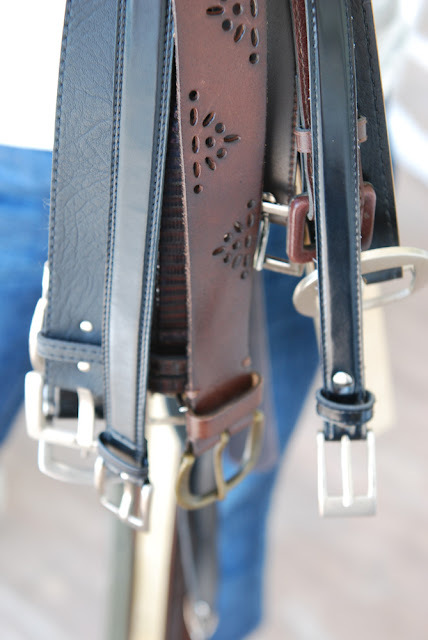 It took some "futzing" with them to get them to lay nice with the belt buckles all toward the front. Then she secured the loose ends of the belts with a dab of hot glue. She had to punch another hole in a couple of them too. And the final touch? A skinny belt to use as the hanger. It's just looped around like a ribbon. The wreath doesn't have a home yet as she's not sure it will go in her bedroom. We hung it here just to take pictures of it. 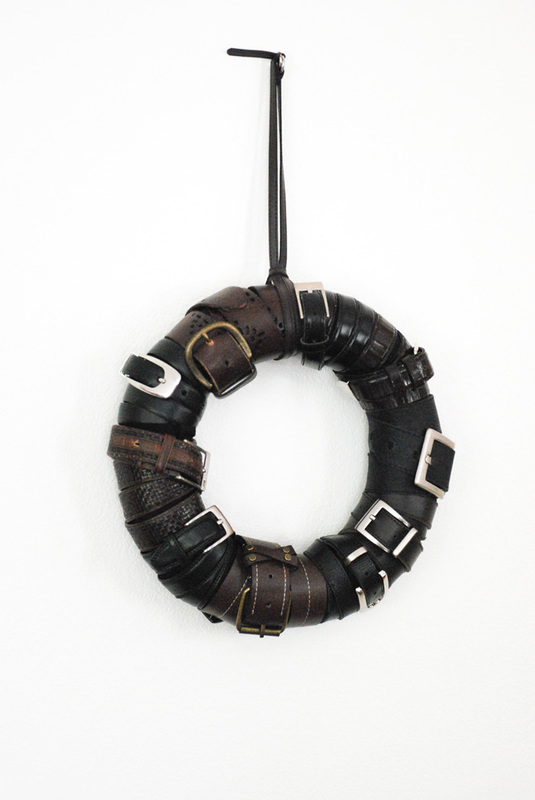 She used a combination of black and brown belts for this wreath. I think one with all really worn brown leather belts is in order for our basement. So, I'll be on the lookout for more belts! AWESOME! HIGH FIVE her for me!!! p.s. 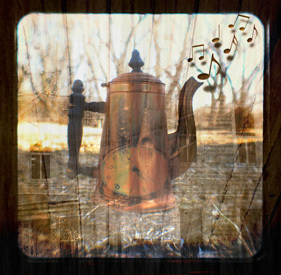 i wouldn't clean the table up... it just shows you've been creative... and it will inspire even more creativity!!! First love the wreath how awesome. Second I love a good mess how else would I be able to find anything? How cool is that! how creative you both are! 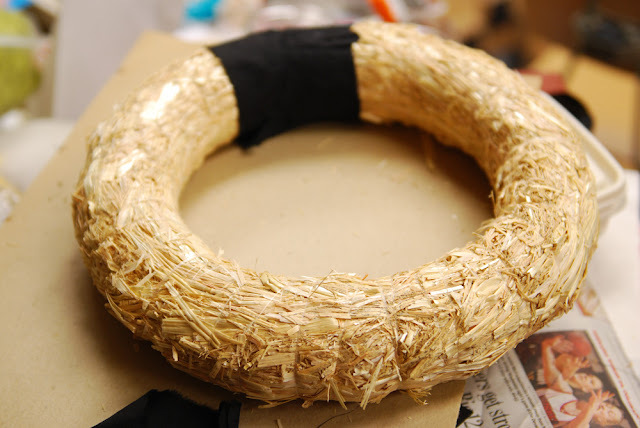 What a fantastic and original wreath idea! You two creative minds did GOOD!!! very clever and creative wreath! Good luck at the state fair, thanks for sharing at Catch as Catch Can. 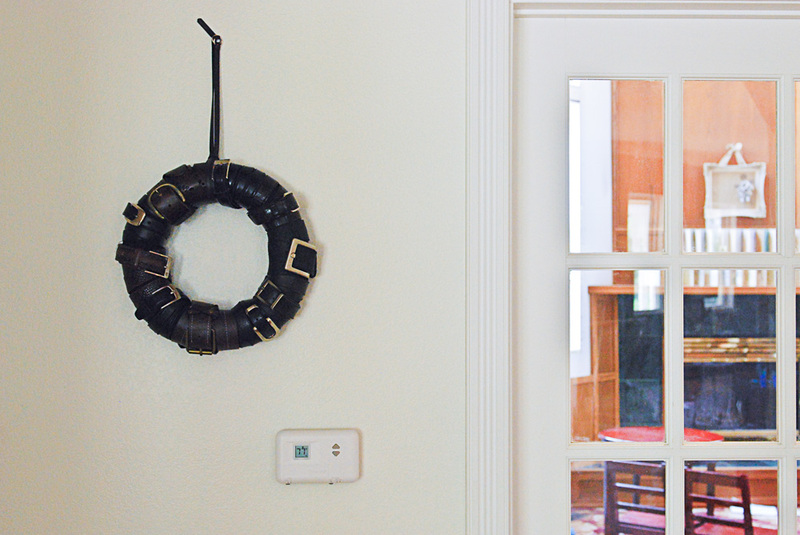 Stopping over from your feature at Repurposed Life to tell you I pinned that awesome wreath. Love this! Thx for sharing.